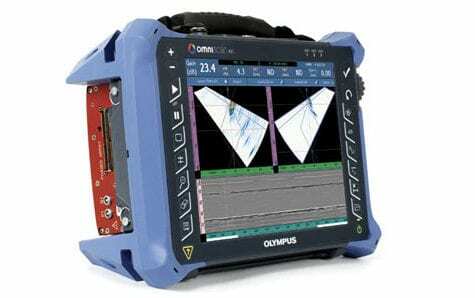 The new and improved Olympus OmniScan MX2 ultrasonic flaw detector is a portable solution designed for NDT experts looking for superior performance and increased efficiency. The latest generation of ultrasonic flaw detector includes a larger and brighter touch screen interface that lets you get the job done in record time. The OmniScan MX2 speeds up your setup process with an intuitive step-by-step wizard designed to get you testing quickly. The powerful software features allow for efficient manual inspections and high-performance automated inspections. 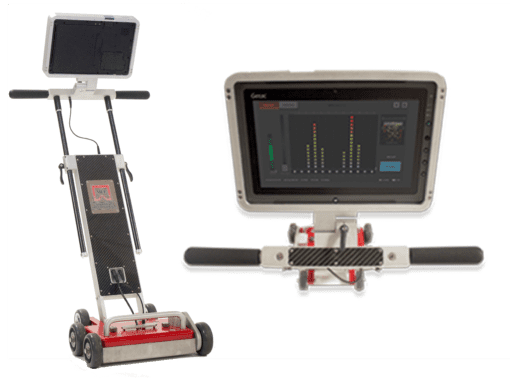 Lightning performance, faster data transfer rates and expanded capabilities through additional software programs combine to improve workflow and increase inspection efficiency. The high-end, scalable platform is universally compatible with over 10 phased array and ultrasound modules, making the OmniScan MX2 ultrasonic flaw detector the confident choice for the future. When combined with other critical components from the complete range of solutions from Olympus, you can create a complete inspection system for your application-specific needs. The OmniScan MX2 is available in 16 Channel and 32 Channel units for more demanding applications. The optional Encoded B-Scan can be connected to the Olympus OmniScan MX2 ultrasonic flaw detector to capture and display the scanned thickness measurements along the distance of internally corroded pipe or tank walls. 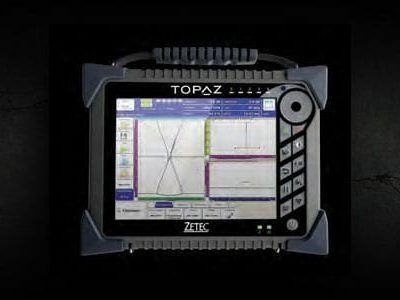 This powerful, time-saving option allows users to select between bidirectional and unidirectional modes, and can store up to 10,000 thickness readings. By generating thickness markers at specific scan locations, the Encoded B-Scan also has the ability to automatically save A-Scan data when triggered by alarm conditions.